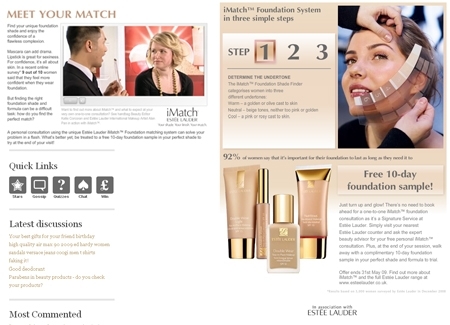 Design and build a creative advertorial page to promote the iMatch foundation cosmetics service. The advertorial featured video and interactivity to inform the user about how service iMatch works. There were variations on the design to reflect the different audience requirements of the three websites and traffic driving media was also produced following the brands strong design cues.